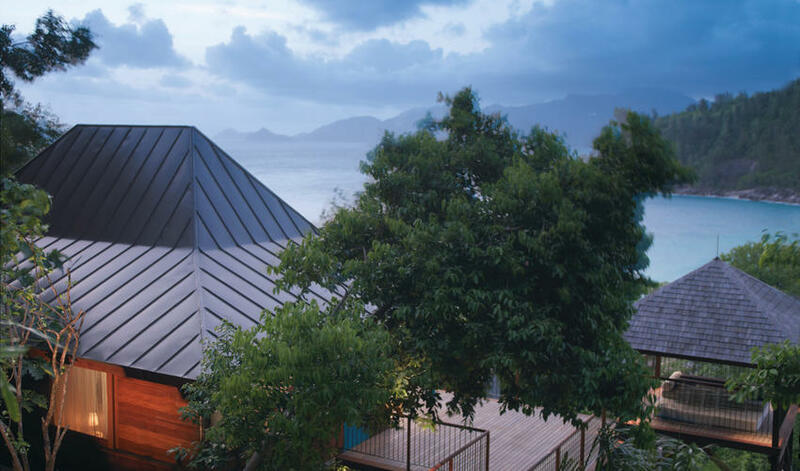 The Four Seasons, set on a beautiful sheltered beach at Baie Lazare, is one of our favorite properties on Mahe and in the Seychelles as a whole. The property is built into a steep hillside and there are stunning views throughout the property. Buggy/golf carts are used to help guests navigate the grounds. The buggy paths are very steep, the staff take a special course on how to drive the carts and anyone afraid of heights might need to prepare themselves! As you move up the hill the property’s décor shifts from a casual, Creole-style near the beach to a more polished, French colonial feel further up the steep hill. Regardless of location, each villa and suite is enormous and has its own plunge pool. The only downside to the villas is that they clearly visible everywhere on the hills and you can see down into some of the villas from the spa and from the highest villas. The Serenity Villas are the most private because they are at the top of the hill. 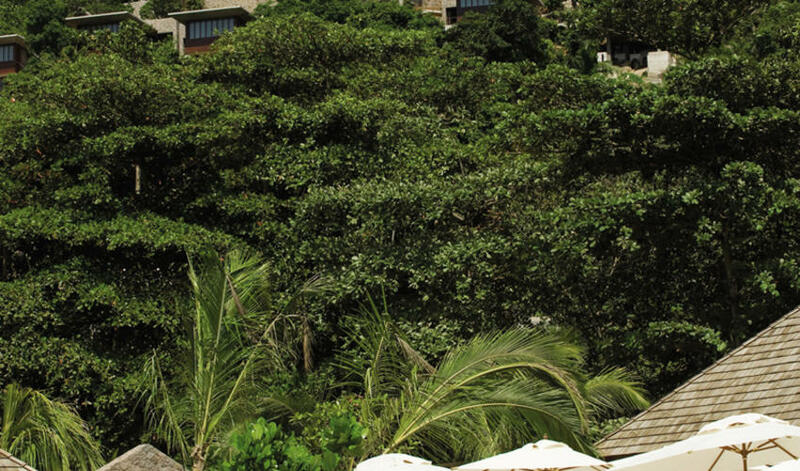 Honeymooners will love the luxury and increased privacy of these higher hillside villas, while families will go for the villas that are lower down with close access to the beach and restaurants. Because the Four Seasons beach is in a sheltered cove the water is typically calm and clear with small waves that are perfect for boogie boards and stand-up paddle boarding. 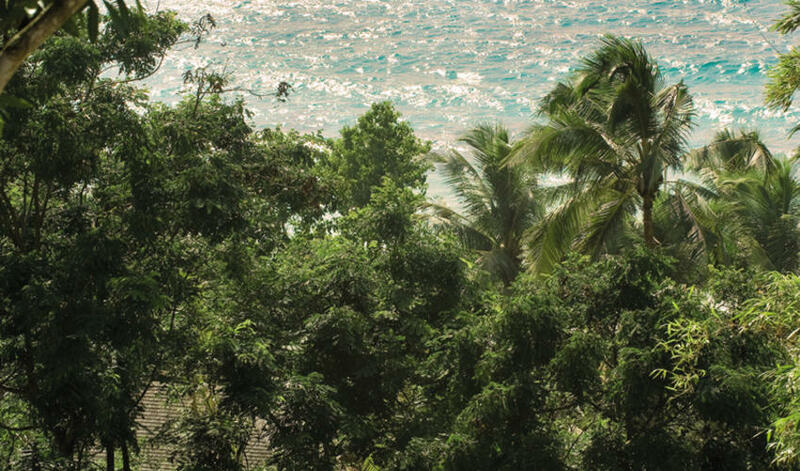 Relatively calm water year round is a big bonus and not true of every property in the Seychelles. Children will love the kids club which has standard activities like surfing, rock climbing, snorkeling as well are more unique offerings like a marine research area. There are of course lots of activities for adults too, including kayaking, snorkeling, windsurfing and catamaran sailing. 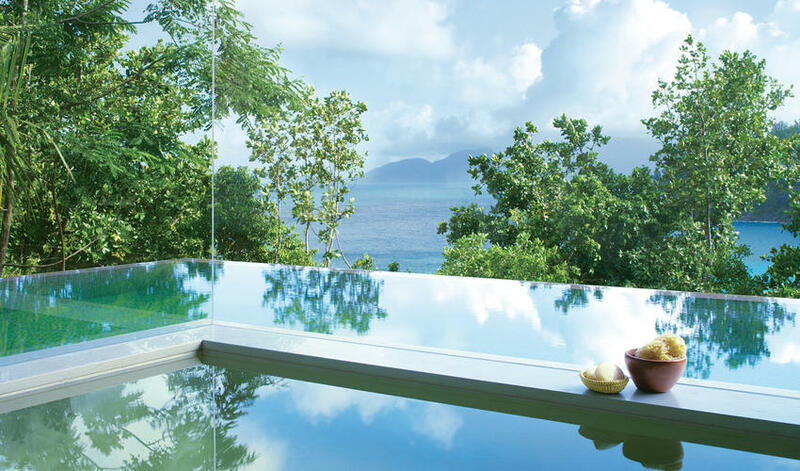 When you want to relax there is an incredible spa at the very top of the property which offers astounding views of the ocean and the entire hillside. All and all the Four Seasons is a solid 5 star property with excellent service and all the amenities you would expect and consistently gets good feedback from our clients. Very spacious and luxurious one bedroom villa with a view of the beach and our own private pool. The staff was very pleasant and accommodating." We have stayed in some pretty amazing places but this was absolute top of the list! Views, staff, food, privacy, luxury - all top notch. We were awed by the views and spent 2 or 3 days just soaking it in without even venturing down to the beach."